Two weeks in, I think I'm ready to call Fallout 4 a broad failure. Beyond the usual Bethesda technical mess that's becoming less and less acceptable with each passing decade of this engine, the game is so regressive in terms of writing, quest design, and NPC interaction as to make me wonder what on earth the studio has been doing with the seven years and hundreds of millions (billions, by some estimates) of dollars in income they've been raking in since Fallout 3. Comparisons to Fallout: New Vegas aren't helping the situation. I didn't expect Bethesda to emulate Obsidian's superior dev crew, but I did at least expect them to pick up on a few of the lessons and improvements already made in that title rather than double down on the worst elements of Fallout 3. In the past we've made a lot of excuses for the series based on intangibles like the "sheer size and wonder" of the Wasteland, but as time goes on more and more games like Witcher 3 and Divinity: Original Sin are proving it's possible to create a massive, hugely interactive world while still paying close attention to detail and the core gameplay experience. New Vegas offered a host of interesting factions and characters and gave the player carte blanche to ally with them, fight them, ignore them, or manipulate them at will. Missions were carefully designed and as varied as infiltration of an emperor's personal guard to mafia murder investigations to crashing a cannibal dinner party; there were always numerous possible outcomes and opportunities to resolve situations through charm, guile, or violence as you saw fit. In Fallout 4, there is with limited exception one kind of mission and one solution only: kill the hell out of everything. That's basically it. Align with your morally repugnant faction of choice, ask no meaningful questions (because you can't), then enjoy schlepping from Point A to Point B with the unavoidable goal of murdering every living being you encounter in between mule breaks to drop off your mountains of junk. Don't worry about reasoning with these people - 99% of Wastelanders will shoot on sight, and options for dialogue resolution are virtually nonexistent. Don't waste your time being sneaky either - you can no longer solve anything through theft or infiltration, and virtually omnipresent turret/rocket chokepoints will ensure you don't have fun trying anyway. Some people might find the crafting and base building elements interesting; they felt pretty half-assed and perfunctory to me. And after my third attempt to build a contiguous wall (for whatever reason) using the primitive construction interface, I dumped that particular distraction. It's not really clear what the purpose of all the settlement systems are anyway, other than MOAR SETTLEMENTS and providing you with a couple easily scavengible resources along with "defend the settlement" radiant sidequests. The game expends no effort to explain why your character would take a break from the whole "finding your stolen child" thing to plant a potato farm, and even less effort to teach you how to do it effectively or what benefits the system will bring you. And ah yes, the "finding your stolen child" thing. You have to wonder if anyone on Bethesda's writing staff is a parent or has ever actually met a parent, because the nonchalance with which your character's single overriding motivation is treated ranges from the disturbing to the downright hilarious. Immediately after watching your wife get murdered and your child abducted, you burst out of the Vault all primed to figure out what the hell is going on and who you can kill to get your son back, only to find that your dialogue options with the first NPCs you meet are "What's up?" and "Care to trade?" Smooth, Bethesda, real smooth. As good of an example as any of the distance they've traveled from the whole "role-playing game" thing in favor of a Borderlands-esque Junk Collection and Child Neglect Simulator, minus the multiplayer or less questionable shooter mechanics. Other problems abound. As everyone already knows, Fallout 4 is a mechanical mess, so save-scumming is a must if you care about reversing game-breaking bugs. The Pipboy interface is still a navigational nightmare, only slightly mitigated by switching from mouse and keyboard to gamepad controls. 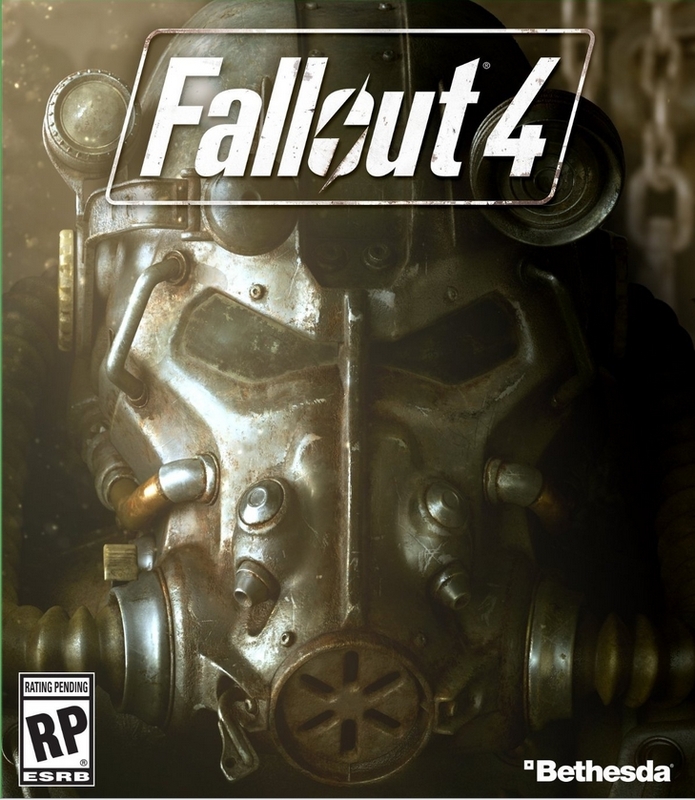 Huge swaths of the Commonwealth Wasteland are empty of all but constant-aggro enemies and a few bits of junk; Bethesda's traditional insertion of personality into bits of lore and scraps of side stories found in notes and computers is nearly absent here. Follower AI is a joke, with companions alternating between rushing straight out into death, giving away your stealth position, and blocking you into corners - but at least they can carry your stuff. While the new conversational camera angles are a nice break from the Bethesda Death Stare, the addition of a player voice does little to offset a disastrous dialogue system, as the line delivery is often wildly different from what the text selections would lead you to believe and oscillates only between Sarcastic, Whiny, Mustache-Twirlingly Evil, and Naive Idiot modes, generally with the same outcomes. In spite of all the above, Fallout 4 is still big enough and baseline functional enough to be a decent open-world FPS, but a frustrating and surprisingly boring one, and certainly Bethesda's least impressive effort to date. Fallout 4 chugs along like a particularly large piece of Fallout 3 DLC, improving little and taking some big steps back from Obsidian's Fallout: New Vegas. There's still life in this thing to be salvaged, but not much soul to keep you there.